Puregold.sg was established in 2010 as an e-commerce store selling value-added gold and silver coins and bars. It is one of Singapore’s premier private mints with its own in-house factory. It aspires to be the leading hub of creative quality premium gift coins and bars that are made in Singapore. Apart from physical retail shops, it also runs and manages an online platform, www.bullioncurrencies.com, empowering merchants and consumers to use gold as the base currency for all transactions. With its experience in the gold price market, Puregold.sg stepped into the global arena of gold trading and electronic gold exchanges. Bullion Currencies (Pte Ltd) is a subsidiary of Puregold.sg Pte Ltd. It provides an online platform where customers are able to buy and sell gold, and also use the gold as a means of payment when purchasing goods and services. It firmly believes in the notion of “Gold is Money” and has taken this literally into the e-commerce world. Working together, they provide customers an all-round service and pleasant experience when dealing with their gold transactions. Puregold.sg, which is headquartered in Singapore, has offices and retail outlets in Vietnam, Malaysia and Indonesia. It has also launched a Gold Dispensing machine in Singapore. Established 2010 in Singapore. Selling value-added gold and silver coins and bars. 2012.Excellence in brand image, customer loyalty and market acceptance. Read the article here. 2013.Recognised as a strong Singapore brand. Asia's First Gold ATM Machines that dispense real Gold. Check out our video archive. Offshore offices in Malaysia & Vietnam. Global market expansion and acquisition of raw gold. Lazada Top 5 Most Competitive Seller Award 2017. Award given to companies whose products are top seller in many countries. Bullioncurrencies.com soft launched. The start of a new revolution to define Money and bring back trust! ICO. Wide-spread promotion and usage of digital gold as medium of exchange. Business Expansion.Expansion of Company offices to Indonesia, Thailand, and many other countries. 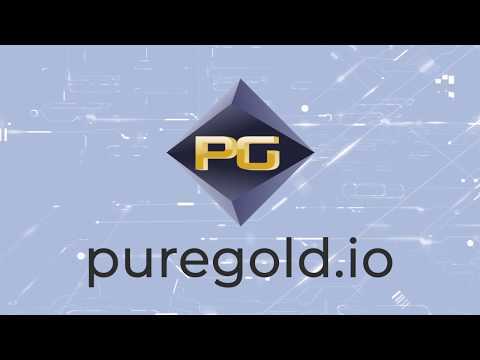 Establish PG-Pay as the World's Leading Digital-Gold Payment Gateway. Initial Public Offering in Major Exchange. To gain credibility and ultimate trust from the public.